As the summer of 2018 rears its bold, beautiful head, the fashion world is ushering in a series of new trends. Prepare yourself for a season of bright colors, fresh patterns, and reborn classics, led by A-list celebrities who always stay two steps ahead of the game. You can get ahead, too, by adopting these top five trends into your day-to-day wardrobe. Get 10% off your entire order when you use discount code “SUMMER10” at checkout! Cold-shoulder tops may have had their time to shine, but now we’re going completely off the shoulder! 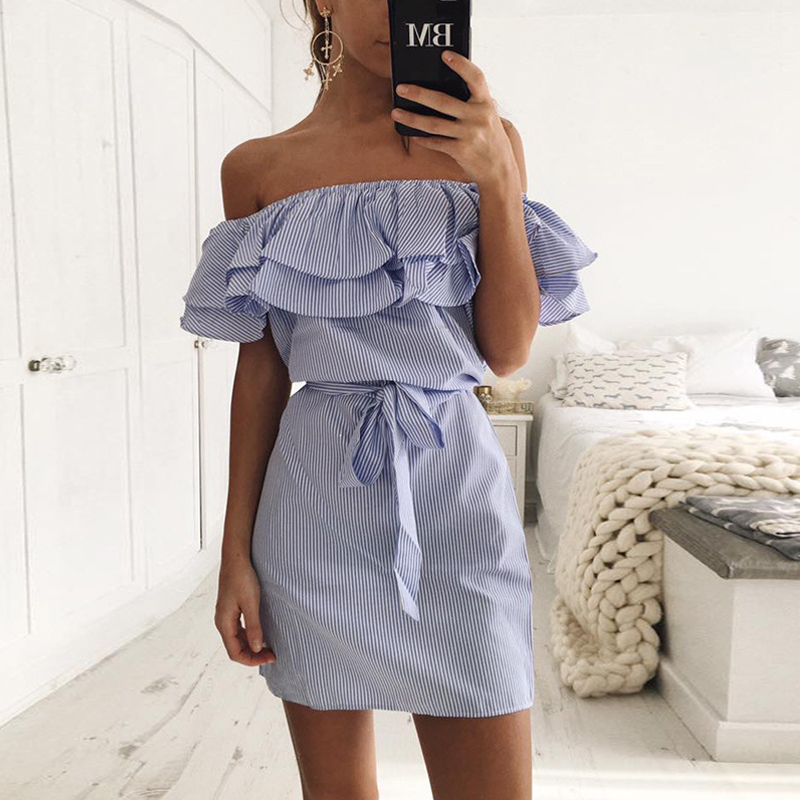 Whether you wear a shirt, dress, or bodysuit, off-the-shoulder necklines offer both a casual chic vibe and a subtle sexiness that will definitely draw some attention. Pastel colors will reign supreme in the fashion world for yet another year. While some may adopt bold hues for special occasions, pastel colors are fit for every situation. Easy on the eyes and perfect for an aesthetic Instagram feed, this trend may continue for years to come. Like pastels, floral print is a trend that will likely never die, especially now that the summer season has started. monochromatic shades that still radiate a sense of summer! You can wear anything with this pattern--a shirt, a dress, a pair of pants, and so on--and it will always feel as fresh as the first day of the most colorful season. Contrary to what they tell you in school, a bra strap will not hinder the basic daily functions of anybody who sees it. Actually, bralettes that you layer as a part of your outfit are becoming more and more mainstream (Some celebrities even wear bralettes on their own)! You can spice up your attire by adding a colorful bralette, or go basic with a simple black or white. Two-piece outfits are an easy and breezy way to get ready for the day! While they have teetered on the edge of trendiness for quite a few years, they are in for 2018. From one-toned two-pieces to flashy patterns, embrace the style of matching your shirt with your shorts, pants, or skirt! For more summer styles, check out fnes’ online store and use the promo code SUMMER10 for 10% your order!